1872 Map Swanscombe © Crown copyright and Landmark Information Group Limited 2018. All rights reserved. The map above shows that Western Cross, Alkerden and Knockholt were the locations of historic farmsteads with adjacent hop fields and hop kilns. These building typologies present interesting precedents for the structured enclosure of space in future developments. 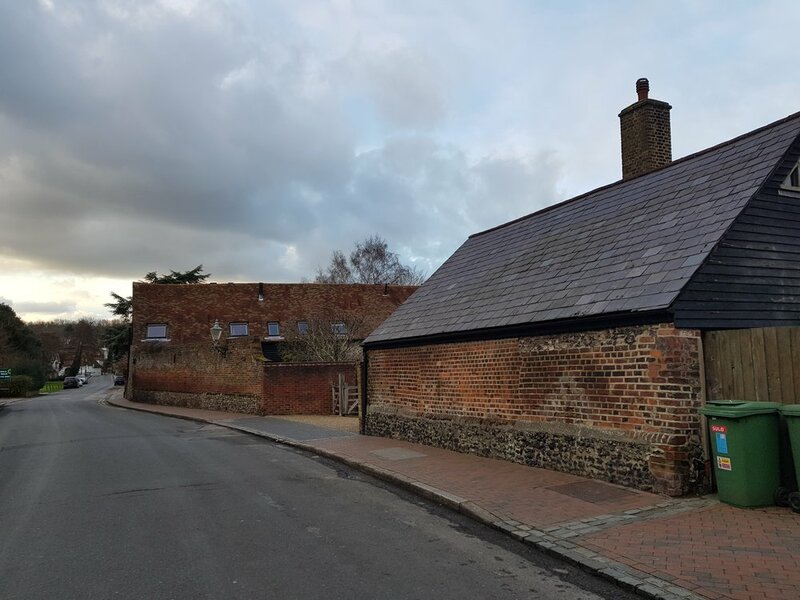 Farmstead Farningham - forming the edge to the High Street.